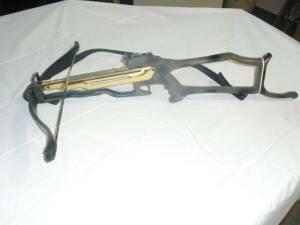 I have a Barnett Commando 175lb Pull Crossbow. (like the one used by Arnold Schwarzenegger in the movie "Commando") I took this on a trade years ago and thought it would be cool to trick it out and play with it, maybe even take it hunting. But never ended up doing anything with it, go figure! Well anyway now I moving and have to seriously down size. So this is one more thing on the list of things I have to get rid of.